Longmont was founded in 1871 by a group of people from Chicago, Illinois as the second colony in Colorado territory. The original date of the Mountain View Cemetery is not known definitively, but the first recorded burial was of John F. Owen in May of 1876, and this is just prior to Colorado becoming the 38th state (the Centennial State) on August 1, 1876. 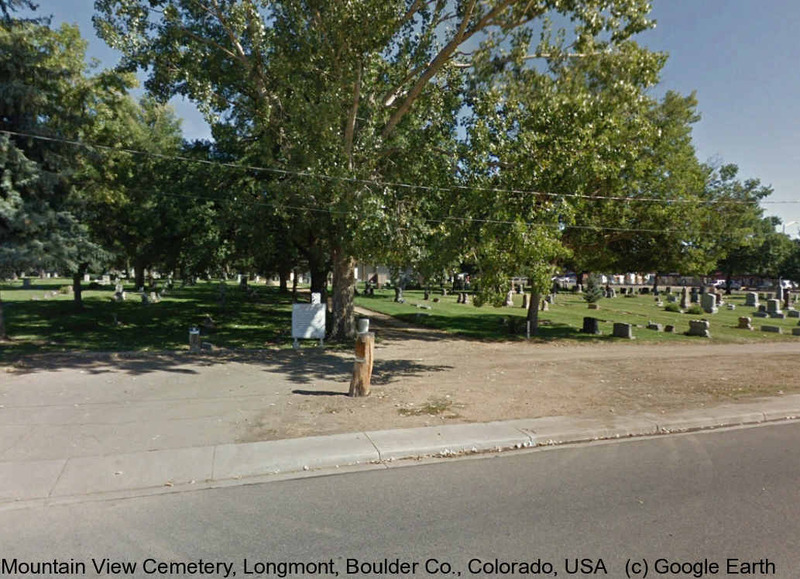 The cemetery is located at 620 11th Avenue, within the city limits of Longmont, Colorado, and is found less than one mile north of the center of town. The main entrance for the cemetery and the cemetery office are both located on 11th Avenue in the block just west of Main Street (which is also known as Rte 287). As of 2014, the cemetery has about 22,500 burials and includes a six section Mausoleum and three Columbariums, all accessible from 11th Avenue. The cemetery office is available to assist visitors five days a week, Monday through Friday excluding holidays.